Learn to use the Python language to create programs of all kinds. 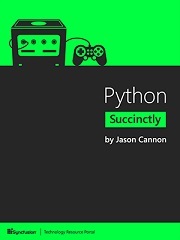 Author Jason Cannon will guide you from complete unfamiliarity with Python to creating practical applications. With Python Succinctly, lack of experience isn't an obstacle to programming language mastery.